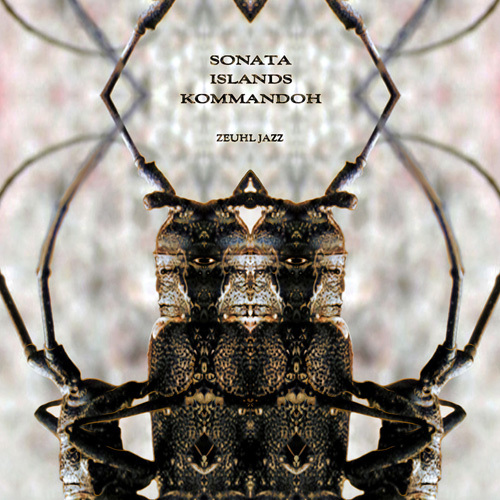 Sonata Islands is an ensemble founded by Italian instrumentalist and composer Emilio Galante in 1998. Filled out by a rotating cast of some of Italy’s most exciting and genre-bending musicians, the band hosts an annual festival in Trento, Italy featuring an acclaimed mix of jazz and new music. Their previous projects include a multimedia project with Markus Stockhausen, a jazz rewriting of Gustav Mahler’s music, and a tribute to Japanese avant-rock of the 80s and 90s. ‘Zeuhl Jazz’ features Galante on flute and electronics along with William Nicastro on bass, Sergio Quagliarella on drums, Giovanni Venosta on keyboards and voice and Alberto N.A. Turra on guitar (Turra’s album ‘It Is Preferable Not To Travel With A Dead Man’ was released in 2017 on Chant Records). The album is dedicated to the spirit of Magma, the groundbreaking French band under the direction of Christian Vander. Starting in 1970, Magma offered the listener a uniquely ‘celestial’ (‘zeuhl’ in Kobaïan language) music, even though those skies may have been crystal clear or ominously dark. Each track on ‘Zeuhl Jazz’ reflects an aspect of Magma’s approach, along with references to prog and avant-garde ­rock, modal jazz, R&B and Eastern folk music.